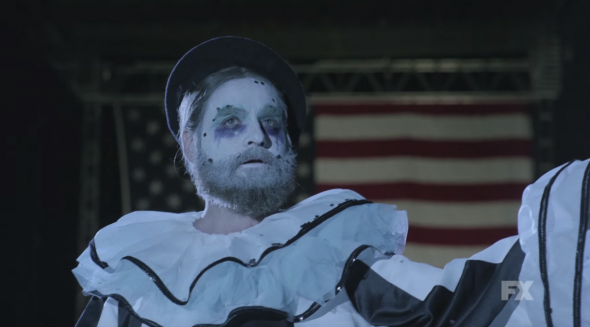 Zach Galifianakis is clownin’ around in the teasers for his new FX comedy, Baskets. The series premieres on January 21st. From Galifianakis and Louis C.K., Baskets tells the story of a classically trained clown (Galifianakis) who has to leave Paris for his hometown of Bakersfield, CA after he flunks out of a prestigious clown academy. Back home, he is forced to give up his artistic dreams for the life of a rodeo clown. The series also stars Malia Pyles and Tom Proctor. What do you think? Are you a fan of Zach Galifianakis? Will you tune in for the premiere of Baskets?